There are many financial issues confronting all of us today. From how we react to the ever changing tax laws, the retirement rules and regulations, to the complex estate planning environment, it is our hope that IncomePlanners, a division of A.V.Berretta Financial, becomes a resource for both you, your family and/or your business. Take your time in learning about Income Planners, since we strive to make our company a valuable asset in the community. Thank you for visiting our website. It is our intent to answer all your questions and educate you about important financial matters. Angelo Berretta invites you to call him to speak with him personally to discuss any financial concerns you may have. He will provide you with a complimentary portfolio or retirement income review and offer suggestions on managing your money and preserving your assets that will allow for a secure retirement and future for you and your family. 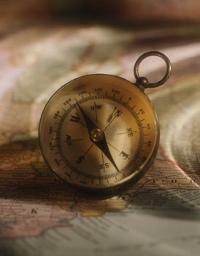 We at IncomePlanners consider ourselves "Your Financial Compass" because many products and services exist in the financial community and clients, as well as prospective clients, need support for these important choices. What exactly do you need, what family concerns are important and is your business in need of specific planning? Guiding you and selecting the right product and service starts with a handshake, conversation, and the planning process. To help clients accumulate, protect, and preserve their assets. To help clients save money by reducing and paying less taxes. To help clients set financial priorities so they can reach their financial goals and live a more satisfying and rewarding life.